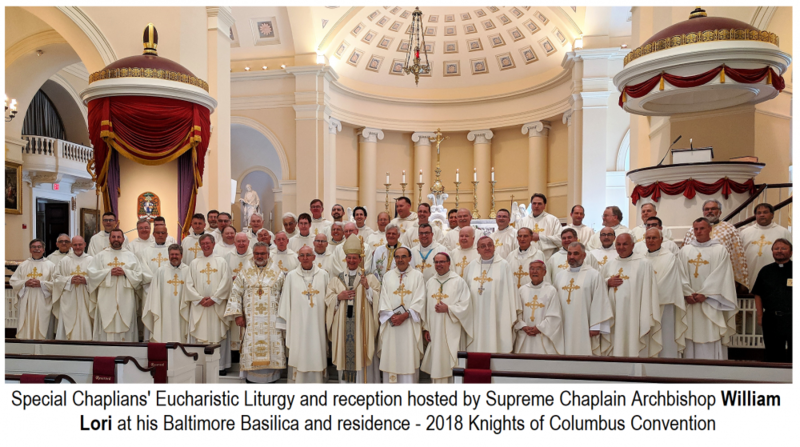 On the first day of the 2018 annual Supreme Convention of the Knights of Columbus, being held this year in the city of Baltimore, His Grace William Lori, the Supreme Chaplain invited all fellow chaplains to a special Mass and reception. 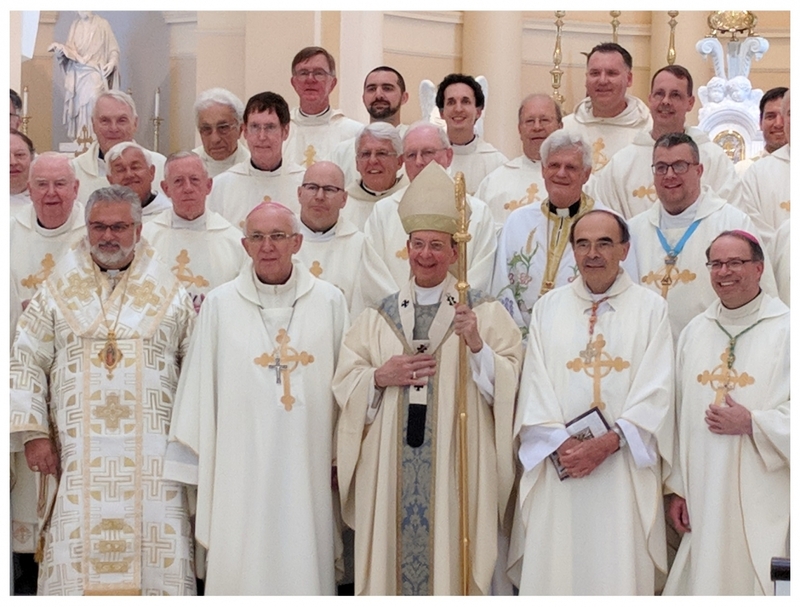 Archbishop Lori is also the Archbishop of Baltimore and thus wanted to hold an event of welcome and support for the priests that serve the order of Knights above and beyond their regular pastoral duties. 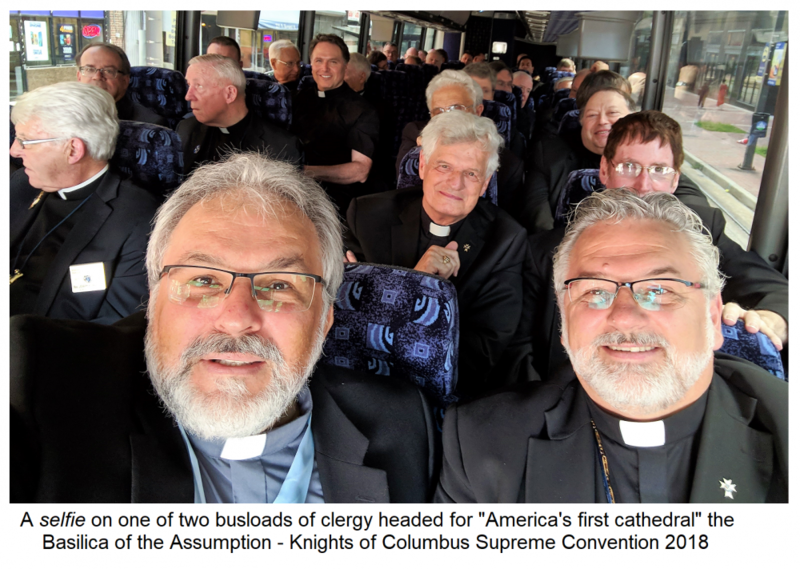 Throughout the morning and early afternoon various "states" of the Knights hosted the convention participants either individually or combined. For example larger jurisdictions like California or Ontario organized their own "hospitality suite", while other such suites would serve as a venue for two or more smaller jurisdictions. 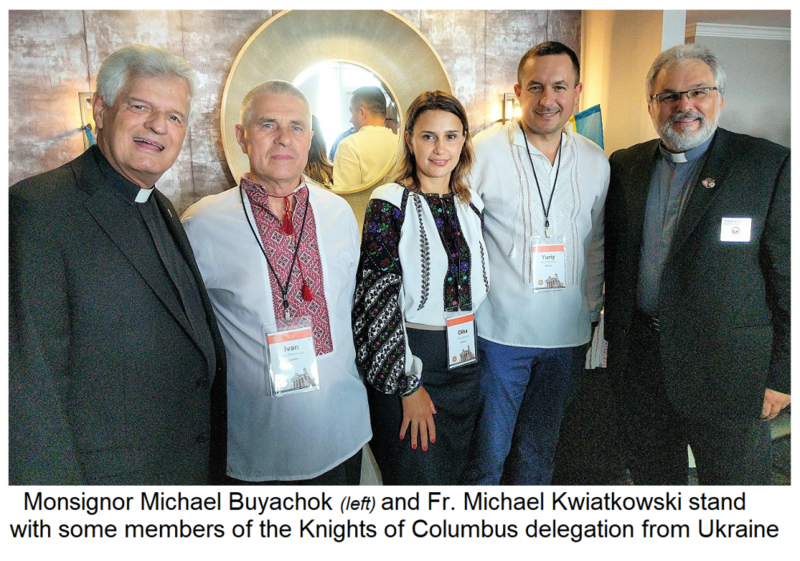 For example one hospitality suite was organized by Florida, Poland and Ukraine all together. It is also a custom that all the convention participants exchange their official state pin at this time. Hundreds of Knights and often their spouses or even their children who accompany them to the Convention move around the entrance hall and hotel lobbies as well as the hospitality suites to meet fellow Knight from around the world, share treats from the many jurisdictions and exchange the hundreds of quite amazing "state" pins. These pins change every year. 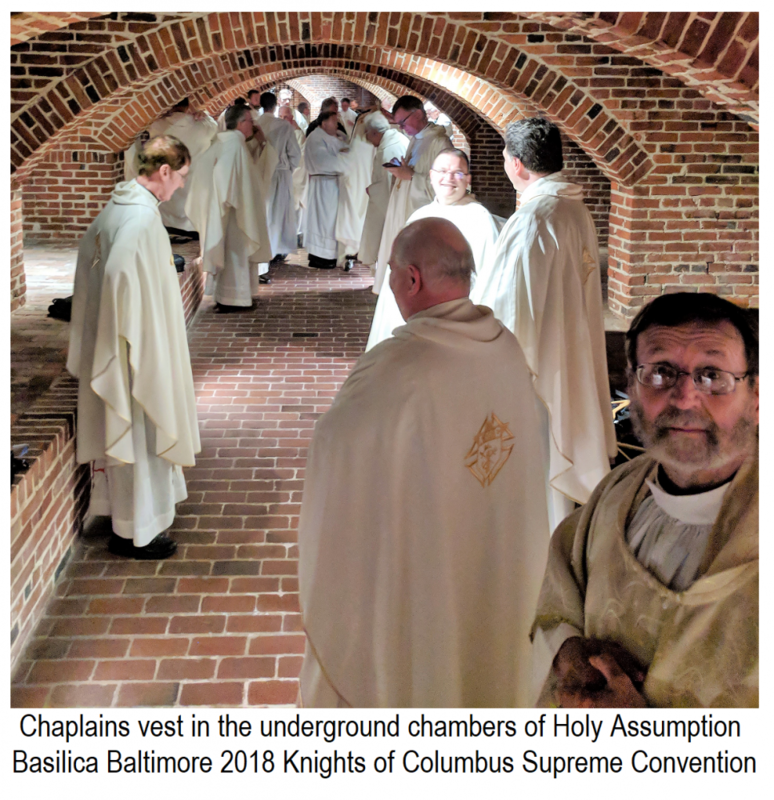 At three in the afternoon, two coach buses took the priests and bishops, that had already arrived, to the Assumption Basilica in downtown Baltimore where they vested for a Mass in celebration of the feast of the Transfiguration of our Lord. After the beautiful Eucharistic Liturgy, the Archbishop invited everyone to his newly restored residence for a catered luncheon. His Grace, Archbishop Lori preached at the Mass and also spoke at the luncheon. His talks were words of encouragement to the clergy as priests and as chaplains of councils and of entire states/provinces. His words were well received as the inspiration it was intended to be. Later in the evening there was the first formal social event hosted by the host state council of Maryland. Then everyone eventually moved to their respective hotels and their rooms as the convention would begin the next morning with the opening Mass and opening sessions.